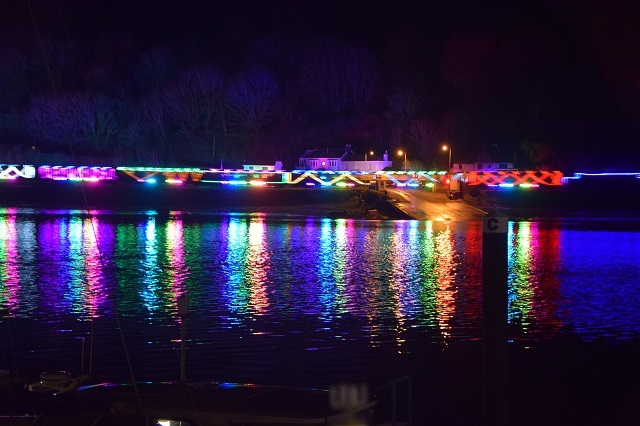 The Dartmouth Steam Railway in Paignton has been operating a sell out run of services billed as a "Train of Lights"
Probably not for the railway purist, but very spectacular. 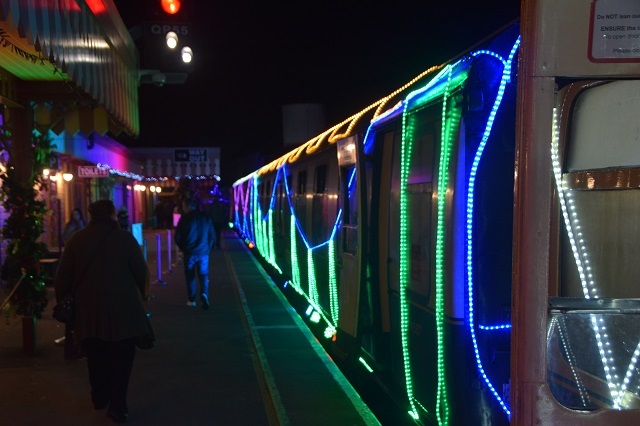 As well as decking the outside of the train with rope lights, powerful spotlights on the train illuminate the trackside. 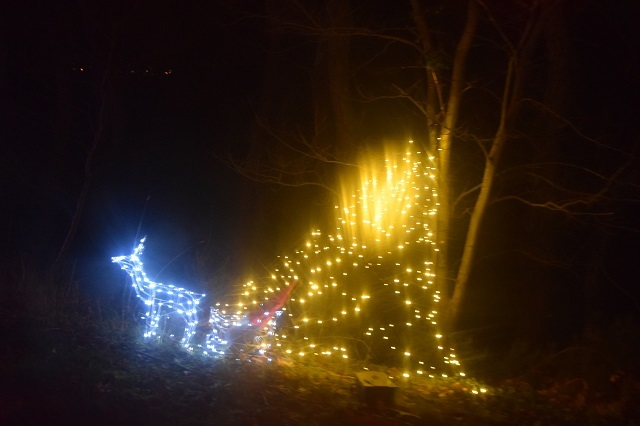 Illuminations have also been placed on the banks. Hard to convey in still photos - but this video shows it rather better. ..and this is the train approaching Britannia Level Crossing just outside Kingswear. Just to note where the train runs past the sidings at Goodrington the lights are extinguished for "safety reasons". 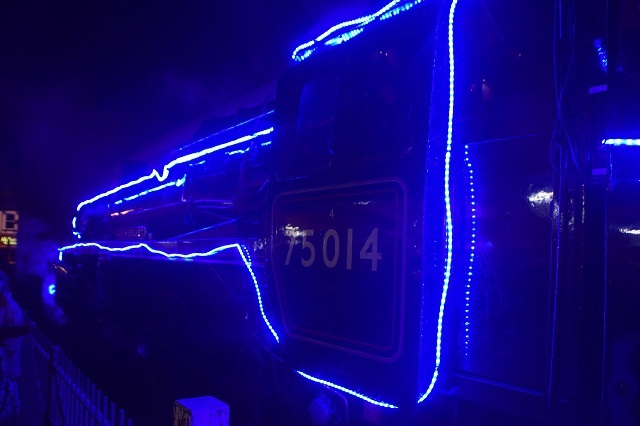 Very impressive, Hopefully other heritage lines might manage something similar? Better still in the snow. 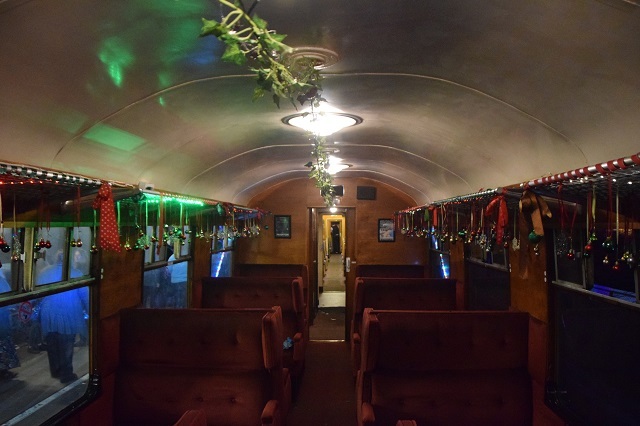 AFAIK, this is the only comparable train in the UK. In the USA something a bit similar but on a larger scale is offered, by a major train company, as a public relations opportunity and to collect donations of money and groceries for the less fortunate in society.